Every year to make room for lambs to retain we must sell a few older ewes. Parting with any of the sheep is like pulling teeth for me, yet it must be done. Here are the ewes we are selling this year. 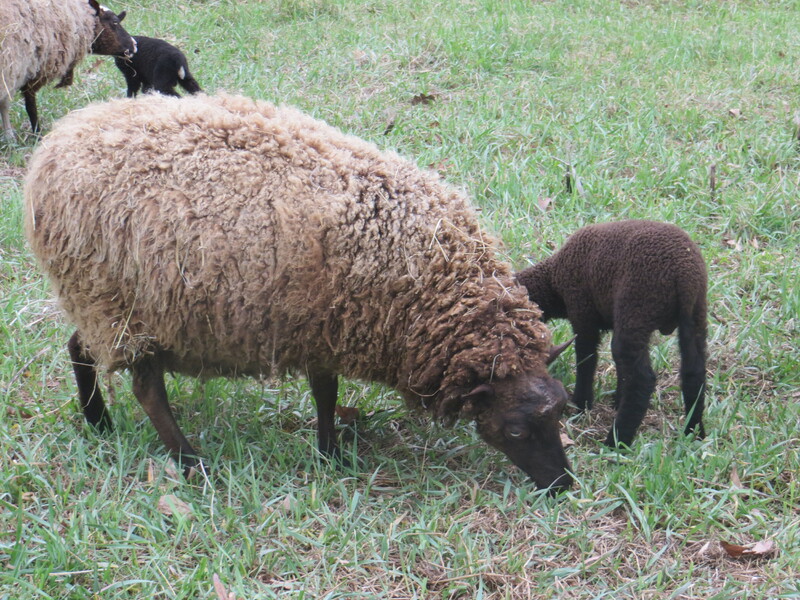 Ginger is a moorit bleset. UK lines in her pedigree are Dillon, Minder, and Holly. She is somewhat friendly and will allow pats and scratches and will beg for treats. 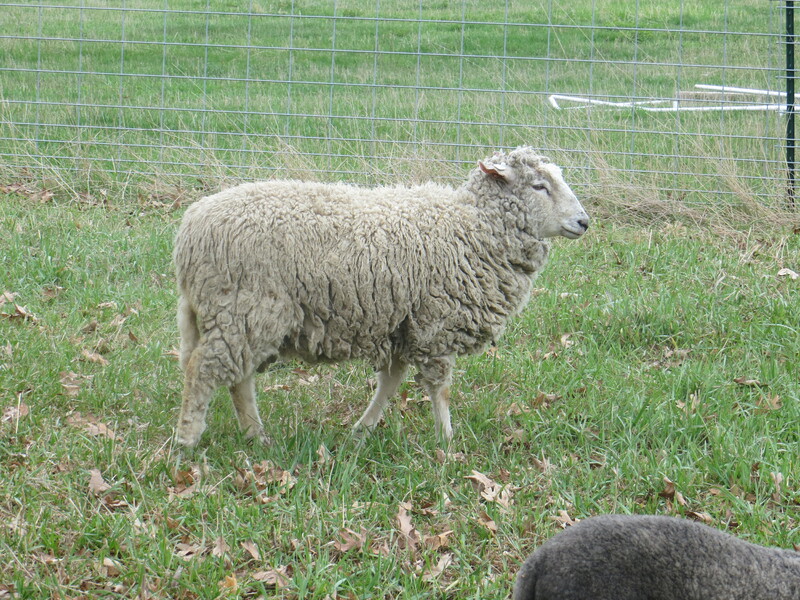 Her fleece is very dense, and she is crimpy. I retained her ewe lamb from last year and am keeping her ram lamb this year for evaluation. Her micron test is pending. She was born in 2010. Little Country Victoria is a spotted (flecket) moorit. We have had her for two years and she has always twined. She has always has very pretty spotted babies (when bred to a spotted ram). 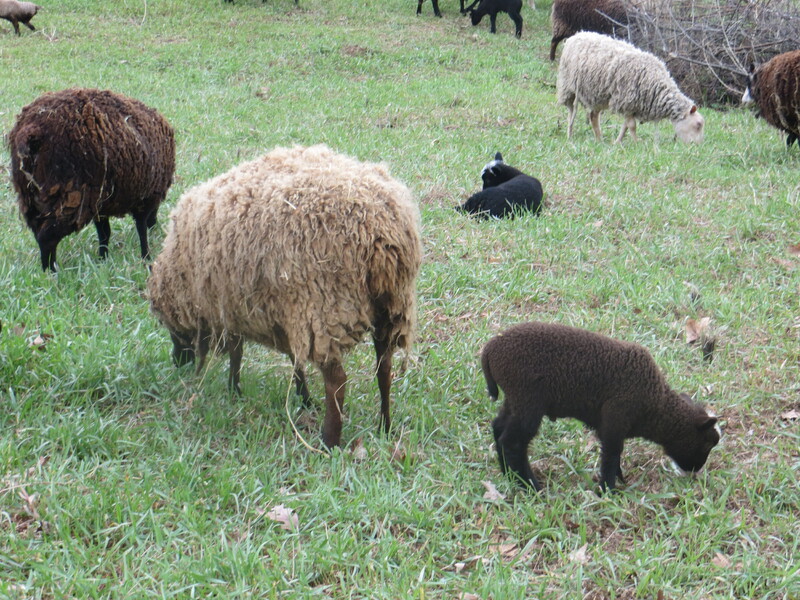 She has a dense, wavy style fleece with a slight double coat. 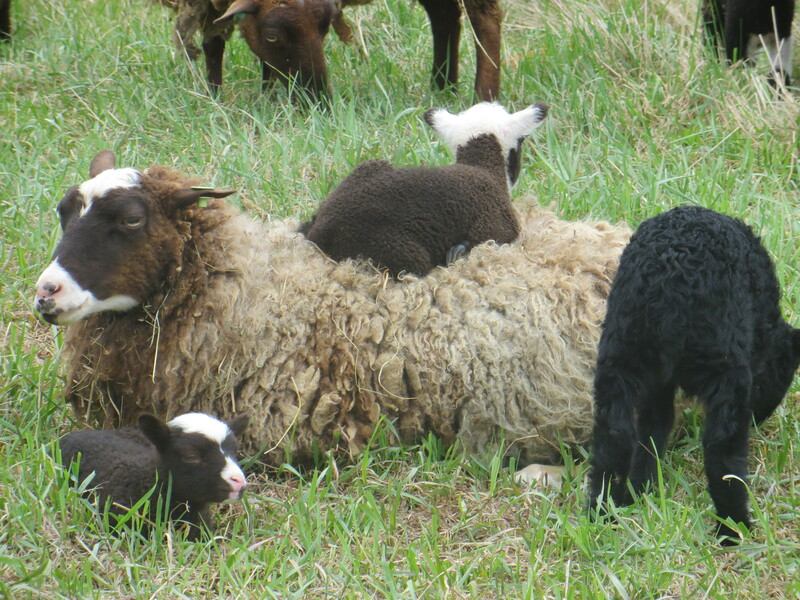 I am not breeding for double coated fleece, but for someone that is, Victoria would be a nice ewe. 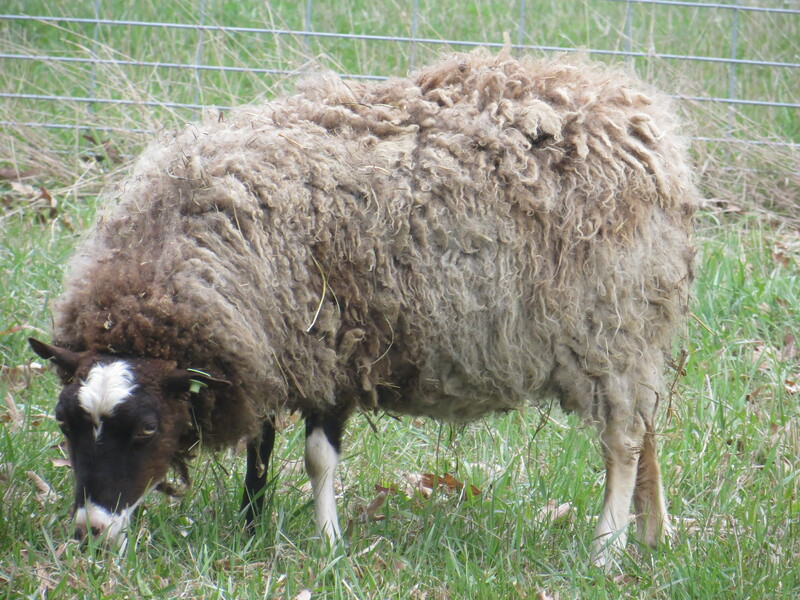 Her 2013 fleece stats were Micron:25.2, SD:7.6, CV: 30.3% her 2014 micron tests are pending. Victoria was born in 2010. Brienne is a mix of just about everything. She has a lovely, white, long and crimpy fleece. Her micron test is pending. Her tail has not been docked. She can be friendly. She was born in 2013 and will be ready for breeding in the fall.